Since our fast-changing, unpredictable, and yes, challenging world demands a new kind of musical preparation for today's graduates, Lawrence is creating a new paradigm for conservatory education, and we are very excited about the results. Some of the components are new and others are as old as the conservatory itself. The full integration of all of these values, old and new, is what truly differentiates our approach from what has come before. Adding a stand-alone course in any one area does little to create substantive change. Rather we are committed to a rigorous focus on core musicianship, surrounded and infused by a growing number of engaging opportunities that can help students best prepare themselves to create their own 21st century musical lives. The diagram above might help give you an idea of what sets us apart. At the heart of everything we do is building core musicianship. A musician today, as in Bach's day, needs outstanding technique, flawless tone, beautiful musicality, as well as a deep knowledge of music theory and musicology. At Lawrence, private lessons, ensembles, music theory, musicology, and keyboard skills combine rigorous training, intellectual discipline, and creative artistry. These courses will push a student to perform exceptionally, think analytically, read critically, speak convincingly, write clearly, and create passionately. 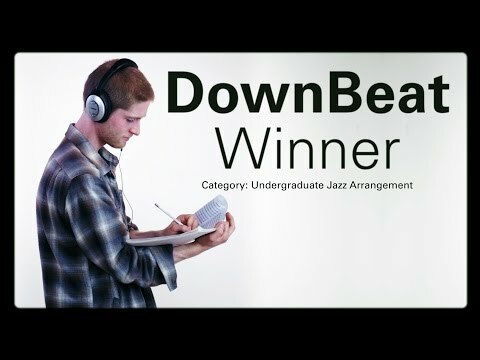 We teach our students to be smart, intellectually engaged musicians who both value and interrogate the western classical music tradition; musicians who critically study past practices and values, with all their complexities and contradictions; musicians who develop deep global awareness of the vast variety of musical aesthetics and meanings; and musicians who channel deep theoretical knowledge into sublime performance. At Lawrence we don't just create performers. We create intellectually engaged, highly creative artists. Core musicianship is key to 21st century musicianship. Surrounding, and deeply integrated with this critical core are countless opportunities for Lawrence students to further enhance their 21st century skill set. Everything we do at our conservatory is informed by a liberal arts approach to education. We believe that to reach one’s full musical potential one must also expand intellectual capacity.We also believe that a liberal arts approach to education is foundational to nurturing the creative, multi-disciplinary, flexible mindset you need to be a success in our ever-changing world. We take this very seriously. It isn’t a coincidence that 50% of our incoming freshman conservatory students are enrolled in our 5 year double degree program. Our faculty members in both the conservatory and college are dedicated to a cross-disciplinary education and will work together to help you reach your goals. The video above highlights some of the great collaborations and inspiring ideas our students are coming up with and being recognized for. Today, it isn't enough to be only an excellent translator of notes to music. It is a huge advantage for 21st century musicians to be flexible, adaptable creators and collaborators. Because of this, improvisation and composition are increasingly important to today’s musicianship. At Lawrence, there are ever increasing opportunities to explore the art of improvisation and composition. Improvisation is no longer just found in our nationally recognized jazz department, it is now found in music education, entrepreneurial studies, studio classes, courses for non-jazz improvisation, IGLU (Improvisation Group of Lawrence University), Acting for Singers, the entire dance curriculum, and even in our major ensembles like orchestra, band, and choir. We have also expanded our composition offerings to include more intro courses and more opportunities explore various styles of composition including classical, jazz, electronic, and electro-acoustic. Deep Listening practice, or the art of active listening, is also available to explore at Lawrence. Deep Listening practice helps to unleash one's creative impulse. Besides a Deep Listening Lab course, the practice also plays a role in classes from entrepreneurship and ethnomusicology to opera training and music education. At Lawrence every student has the opportunity to explore their own creative potential. Expanding one’s musical vocabulary can be a valuable asset in today’s global and collaborative world. 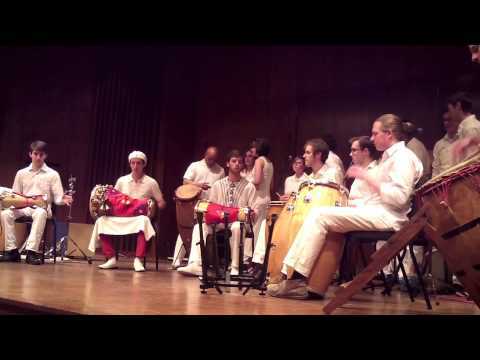 Besides a full array of opportunities in western classical music from baroque to new music in every type of ensemble and solo setting, at Lawrence we also offer 5 hands-on world music ensembles: Balinese Gamelan, Ghanaian Ewe Drumming and Dancing, Cuban Drumming and Singing, Brazilian Samba Drumming, and Australian Aboriginal Didjeridu. 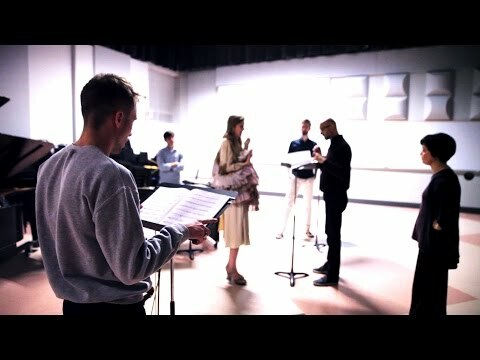 Something truly amazing happens when one dives into an ensemble tradition with no written music. One's listening expands and musicianship increases in unexpected ways. 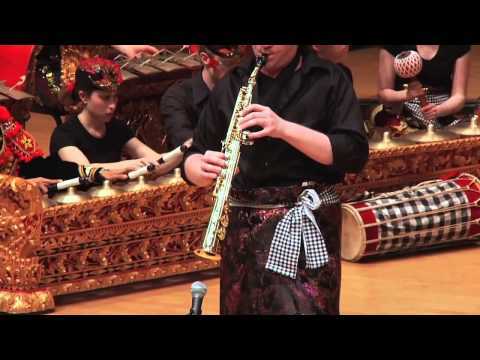 Yes, playing in a Balinese gamelan will help you become a better western classical musician! In the area of multi-musicality we also include, dance, improvisation, jazz, as well as student-run opportunities in fiddle, early music, funk, and swing dance. All of these opportunities, when approached at the highest level, can expand musicianship and help you reach your full musical potential. It is all well and good to nurture one’s creative, innovative 21st Century Musicianship, but if this journey ends with the individual musician, then the job is just half finished. Musicians have a deeper obligation to pay it forward. Not only should 21st century musicians share their new-found musicianship with the world, but they should also commit themselves to change the way the greater society views and interacts with music as well. This is where entrepreneurial mindset and creative impulse meets arts advocacy. In an age when arts programs are being cut left and right and music is often the first thing to go, the world needs music educators and performers who can demonstrate in real terms the critical importance of music in all of our lives. What if all of our general music educators approached teaching music as if it were the core subject it should be? What if every first grader were composing music at the same time they were writing their first stories? What if every child in elementary school graduated with core skills in composition, improvisation, sight reading, singing, drumming, dancing, performing, collaborating, theory? What if this were the norm? This is exactly what Lawrence music educators aspire to bring into their teaching. 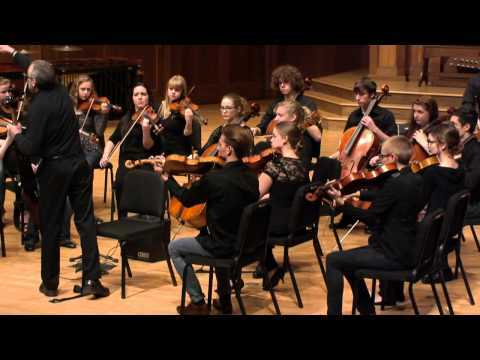 What if our bands and choirs and orchestras were not only places of joyous music-making of the highest level, but also communities that foster leadership skills, entrepreneurial thought, creative improvisation, composition and collaboration? Again, these are the goals to which we aspire. What if we committed to bring live performance into warming shelters, prisons, hospitals and other non-traditional venues. What impact could we have on these non-traditional audiences? At Lawrence, this is exactly what we are doing through our partnership with Decoda and the results are inspiring. 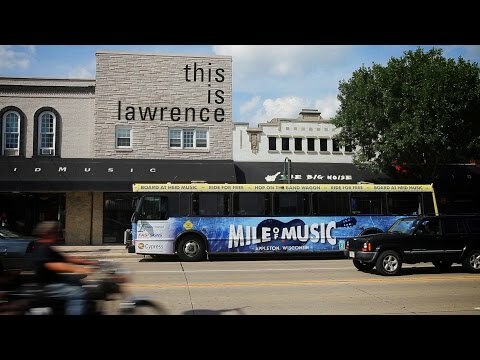 Music can change the world, and Lawrence students are doing just that. To be truly creative, we all need to look at the world and ask, “why?” Why are professional orchestras organized like they are? Why is a recital formatted like it is? Why don’t we clap between movements? Why don’t more people come to our concerts? And then we need to boldly reimagine the way things are and ask “why not?” Why not create my own chamber orchestra? Why not create a new kind of concert series? Why not create a new paradigm for touring. Why not redefine what a private studio looks like? We live in an age where we as musicians need to be able to create our own musical lives. A musician needs to be innovative, passionate, creative, collaborative and fearless. In short, today’s musician needs to develop an entrepreneurial mindset. Lawrence’s core liberal arts education is at the center of this journey, but we also have ample offerings to help focus one’s entrepreneurial mindset. The Entrepreneurial Musician course incorporates improvisational exercises, creative play, and contemplative studies in the creation of high level business proposals. It is another fine example of the integrative approach to our core values. This course is just part of an entire Entrepreneurship Interdisciplinary Area at Lawrence which offers 8 additional courses in entrepreneurial studies. When combined with exceptional core musicianship and other 21st century skills, an entrepreneurial mindset can help today’s musician define their musical life. Part of our creative culture is to rethink every aspect of performance from venue to presentation. Why do we perform the way we do? Why do we perform where we do? If we want to engage modern audiences with compelling live performances then we better start figuring out what exactly a compelling performance looks like and sounds like today. We have a partnership with Decoda, the official outreach ensemble of Carnegie Hall and a leader in audience engagement. 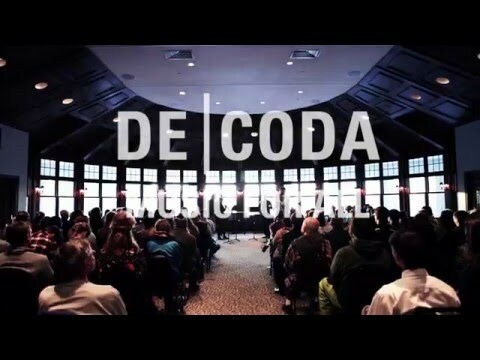 In fact two of our faculty, Michael Mizrahi, piano, and Erin Lesser, flute, are members of Decoda. Our Music for All initiative teaches students to find ways to deeply engage audiences with classical music--even audiences who may have never attended a live performance. Our faculty and students regularly play at warming shelters, community gardens, schools, and prisons. If we want audiences to re-engage with classical music, or any live music, we have to redefine the rules and be willing to step outside of confines of tradition. Recently, a student-comprised saxophone quartet traveled to France in to perform at the 17th Annual World Saxophone Conference. Check out their blog post here! The most important thing to know about the opportunities we have discussed is the beautiful interconnectivity that exists between them. Nothing stands alone. Everything blends, intertwines, supports, and builds upon everything else. On consecutive days a Lawrentian may be soloing with the orchestra, dancing in our Ghanaian Ewe ensemble, improvising in a warming shelter, presenting a project in musicology, and leading the student organization that she helped create. Rigorous practice, intense study, and riotous laughter with friends also make up a good chunk of those days. Making all of this magic possible is the unending support of our dedicated faculty. From the classroom to the rehearsal room to the studio, our world class faculty is dedicated to helping our students reach their full potential as a musicians, scholars, and human beings. Our professors will encourage, push, and empower all of our students to reach beyond their own high expectations. Our individualized, student-centered approach to education allows our students to do things they just couldn't do anywhere else. Are you ready to start creating your musical life?